GENETIC EVALUATIONS With the recent genetic evaluations, three members of the milking herd rank among the top 1.5% for JPI or Genomic JPI. Click here for a complete listing. Now Excellent-90% The herd was appraised in February and the news is good. We have four new Excellents, including Crackerjack H Gun Kyte E-82, left. As well, four first-calf heifers were appraised VG-86% or higher. 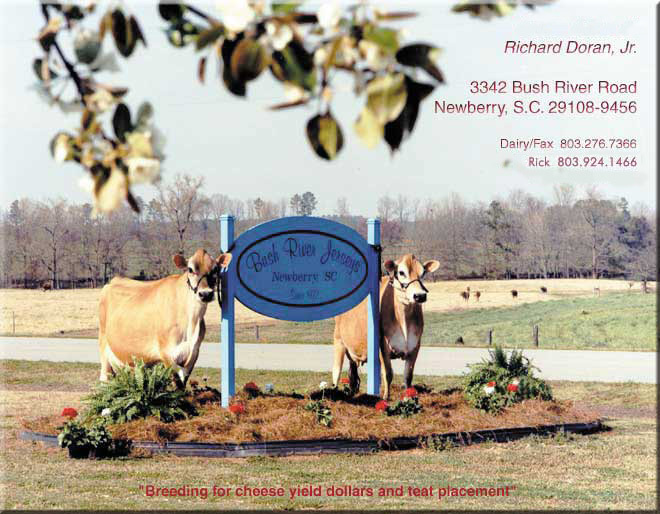 Bush River is now home to 45 Excellent and 207 Very Good cows and has an appraisal average of 82%. JerseySite updated June 26, 2013. General notice: Materials constituting this website in whole and in part are subject to copyright by their respective owners.